The United States (US) yesterday rejected claims it was in the process of establishing an army camp in Sri Lanka. 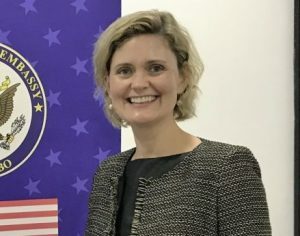 The US Embassy in Colombo said that a base had never been a part of the US relationship with Sri Lanka nor have there ever been discussions aimed at establishing one. 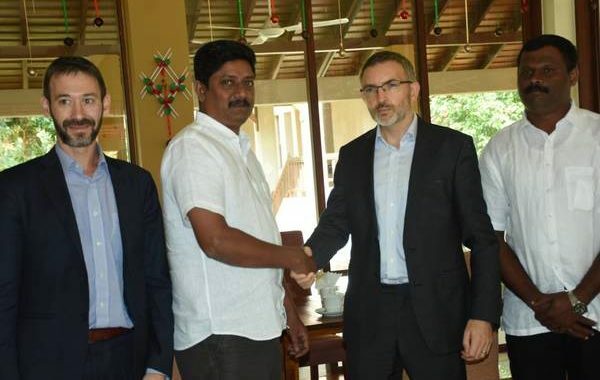 Sri Lanka Freedom Party (SLFP) General Secretary Dayasiri Jayasekara told reporters on Friday that the Government was looking at allowing the US to establish a military base in Sri Lanka. Jayasekara claimed that US Army troops, army equipment, including communication devices were expected to be brought into Sri Lanka. However, US Embassy Spokesperson Nancy VanHorn told The Sunday Morning that the claims were categorically false. “The US Embassy is aware of erroneous reports that the United States intends to establish a military base in Sri Lanka. These reports are categorically false. While the US-Sri Lanka military partnership has included disaster preparedness and relief, maritime security training, and exercises to enhance interoperability, a base has never been a part of the relationship nor have there ever been discussions aimed at establishing one,” she said. The Mines Advisory Group (MAG) is delighted to welcome members of the England cricket team to its operations in Periyamadu, in the north-west of Sri Lanka on Monday 19 November.